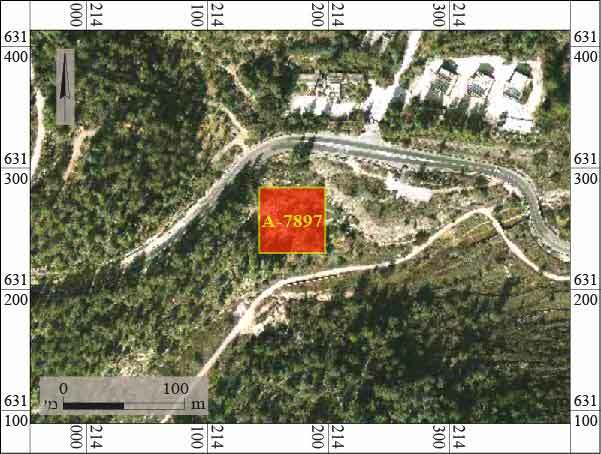 In January–February 2017, a salvage excavation was conducted near the ‘En Kerem neighborhood in Jerusalem (Permit No. A-7897; map ref. 214135-86/631235-85; Fig. 1), prior to the installation of the gas pipeline running from Mesilat Ziyyon to ‘En Kerem. The excavation, undertaken on behalf of the Israel Antiquities Authority and financed by Israel Natural Gas Lines Company, was directed I. Radashkovsky, with the assistance of N. Nehama (administration), B. Touri (safety), R. Cohen (antiquities inspection and area preparation), J. Tiago and M. Balila (survey of the site), A. Eirikh and E. Marco (preliminary survey), S. Gendler (metal detection), V. Essman and Y. Shmidov (surveying and drafting), N. Zak (plans), A. Wiegmann (photogrammetric documentation), E. Aladjem (aerial photography), A. Peretz (field photography), C. Amit (studio photography), I. Lidsky-Reznikov (pottery drawing), Y. Zelinger and A. Shadman (consultation). 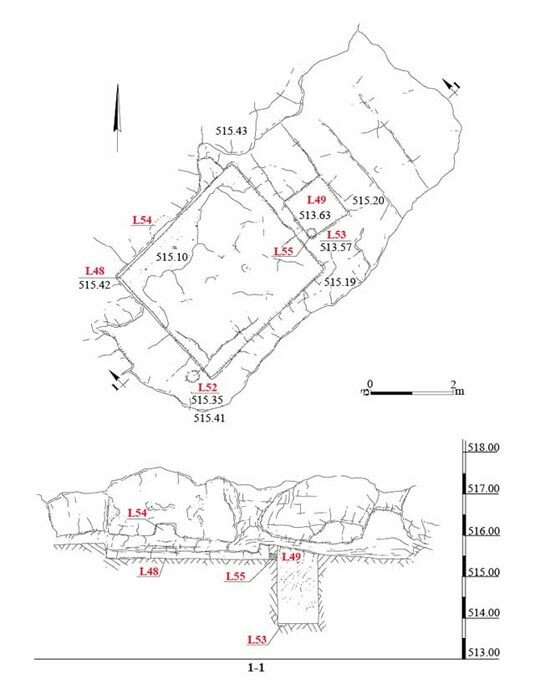 The excavation area (c. 50 × 90 m) was part of a large agricultural complex that extended along the bank of Nahal Soreq, at the bottom of a small valley descending from Har Heret (Fig. 2). Three areas (A–C; Fig. 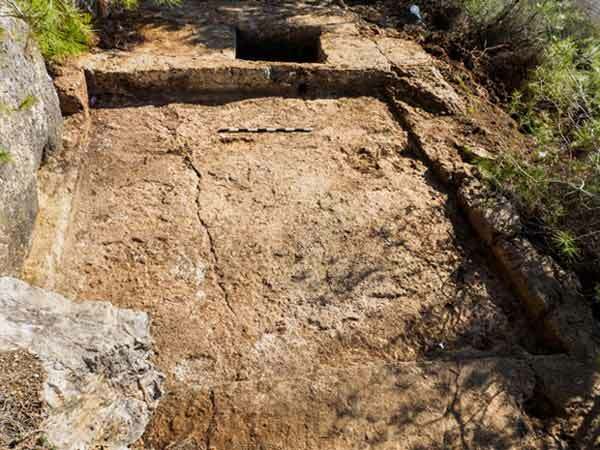 3) were excavated, exposing the following antiquities: an agricultural complex with two field walls and farming terraces, a two-story elliptical field tower from the Ottoman period and the time of the British Mandate, a natural cave that was enlarged and a rock-hewn winepress of unknown date. Among the other finds from these periods were pottery sherds and metal objects. 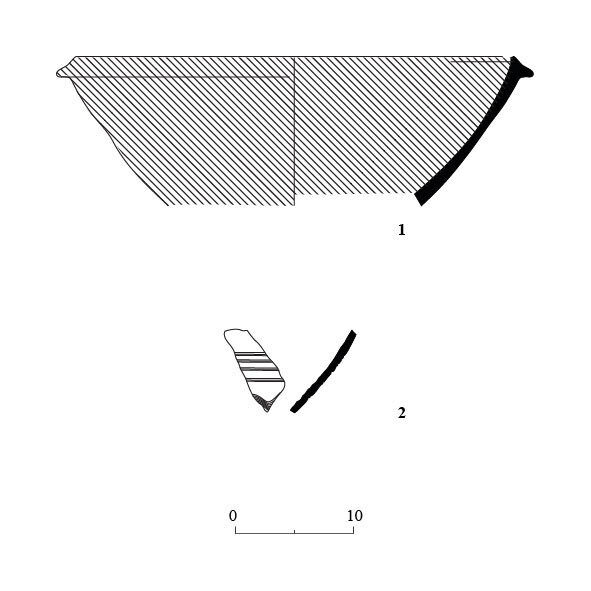 In surveys conducted near the site in the 1970s and 1980s, a continuous stretch of ​​agricultural terraces, field towers and various farm installations was identified (Kloner 2003:119–120). 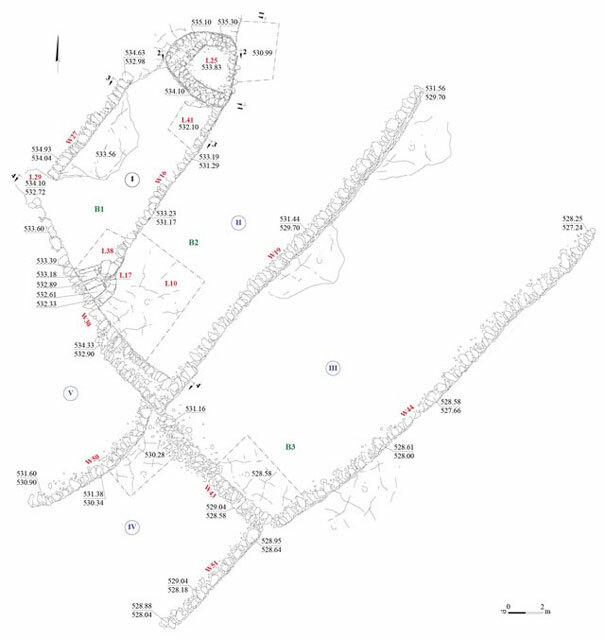 In 2016, a development survey was performed prior to an excavation (License No. S-664/2016), at which time the site was identified. Area B (Figs. 5, 6). A fenced-off area (40 × 50 m) divided by field walls was exposed. It consisted of three agricultural terraces (B1–B3) that descended the hill as part of a larger agricultural complex (Fig. 7). Two perpendicular[they appear to be parallel] walls (W30, W43) divided the enclosure into five plots (I–V)—three in the northeast and two in the southwest. A staircase of roughly hewn stones (L17; Fig. 8) was constructed between Plots I and II, which was part of an agricultural terrace wall (W16) that abutted W30 from the northeast. 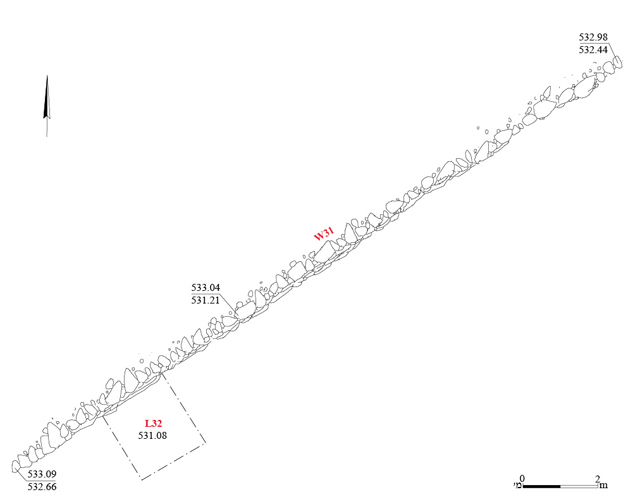 Wall 30, which continued northward, canceled a natural cave (L29; Fig. 9) whose opening had been widened. 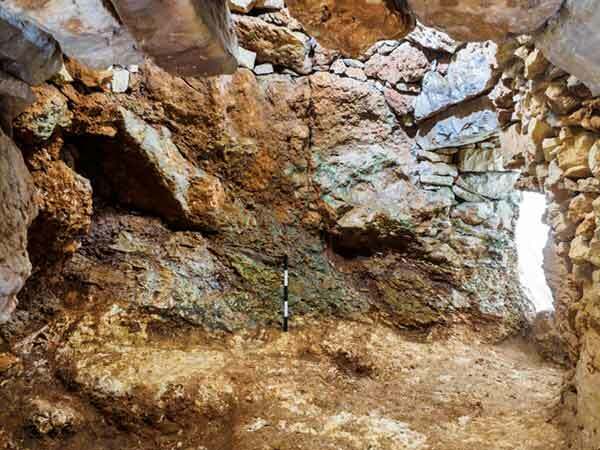 In the absence of any finds, the cave’s use, purpose and date are unclear, but the wall that negates the cave indicates that it predated the agricultural system. The northeastern end of W16, which separated Plots I and II, became the eastern wall of a two-story field tower that was apparently built at the same time as the wall. The field tower was oval (diam. 3–4 m; height 1.5–4.0 m) and its walls were constructed of two rows of medium-sized to large stones set on bedrock, in harmony with the topography. The ground floor of the tower contained an entrance (L12; 0.60 × 0.95 m; Fig. 10). 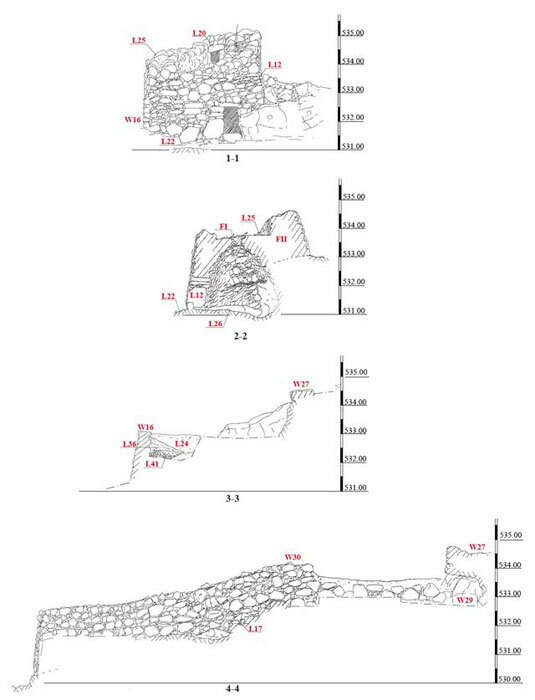 The tower’s lower story was partly hewn and included a main cavity and a hewn niche (FI, FII; Fig. 6: Section 2-2), and the bedrock beneath it showed signs of weathering. The lower part of the main cavity (FII; 2.1 × 2.4 m, height c. 2.8 m; Fig. 11) was hewn, while its upper part was built of various sizes of fieldstones, culminating in a vaulted ceiling. A niche (FI; 1.1 × 1.4 m, height c. 2 m) was discovered in the southern part of the main cavity. 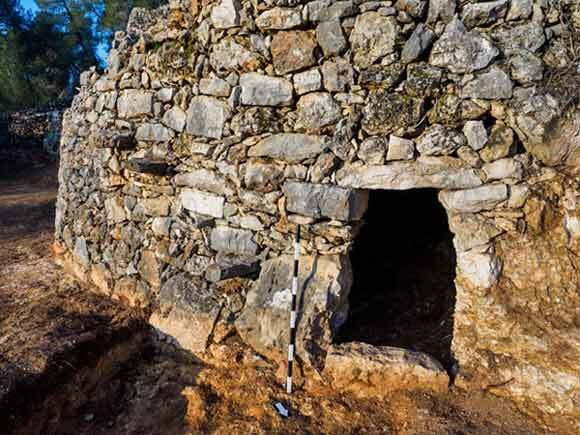 The southern and eastern walls of the field tower were built of different-sized stones, incorporated in the bedrock in the western part of the niche and forming a vault in its ceiling. Stairs built of four roughly hewn stone slabs integrated in the tower’s eastern wall and protruding from it ascended to the second story (Fig. 12). The upper story was only partly preserved; hence, it is unclear where it was entered. 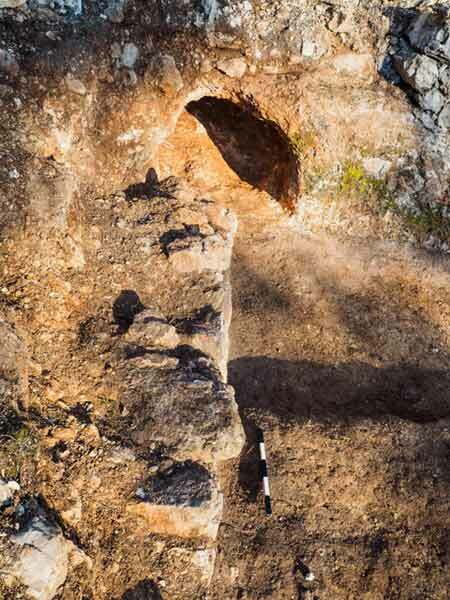 A doorway (0.45 × 0.55 m) discovered in its western side was built of large roughly hewn stones and led to a square room (L20; 1.8 × 1.8 m) of unknown use. Area C (Figs. 13, 14). 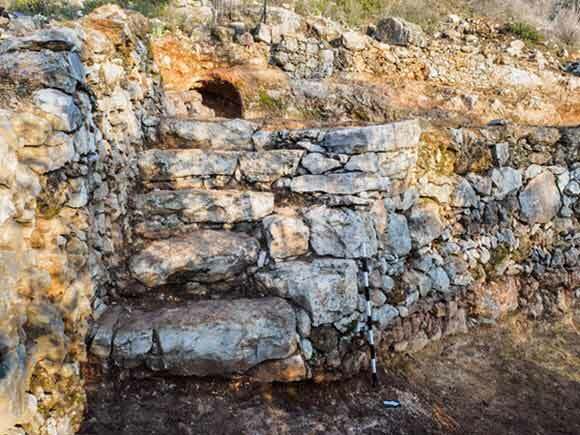 A winepress with a hewn treading floor (L48) and a collecting vat (L49) was exposed. The treading floor was square, with shallow sides, and its floor was slightly damaged. A rock-hewn niche (L54), probably used to secure a wooden beam, was discovered on a bedrock cliff above the northern wall of the treading floor. A round cupmark (L52; diam. 0.1 m, depth 0.15 m) was in the western wall. The treading floor drained eastward through a channel (L55) to the collecting vat that had two small hewn depressions that served as steps in its southern wall. A circular settling pit (L53) was hewn in the bottom of the vat, next to its southern and western walls. A krater (Fig. 15:1) and a striped body fragment (Fig. 15:2) dating to the Ottoman period and the time of the British Mandate were found in the doorway leading to the field tower. 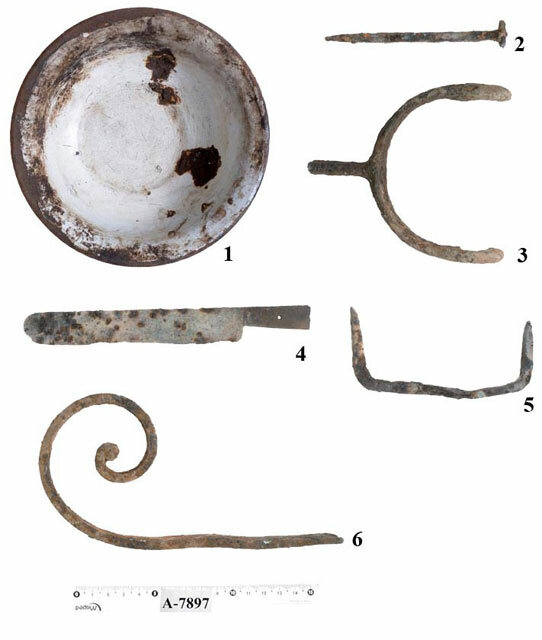 On the upper agricultural terrace were several metal artifacts, for example an enamel bowl (Fig. 16:1), a nail (Fig. 16:2), a riding spur (Fig. 16:3), a knife (Fig. 16:4) and what were probably two ornamental items (Fig. 16:5, 6). In addition, a long, pointed rod was discovered that was probably a pry-bar (Fig. 17). The excavation area was in the bottom of a small valley. 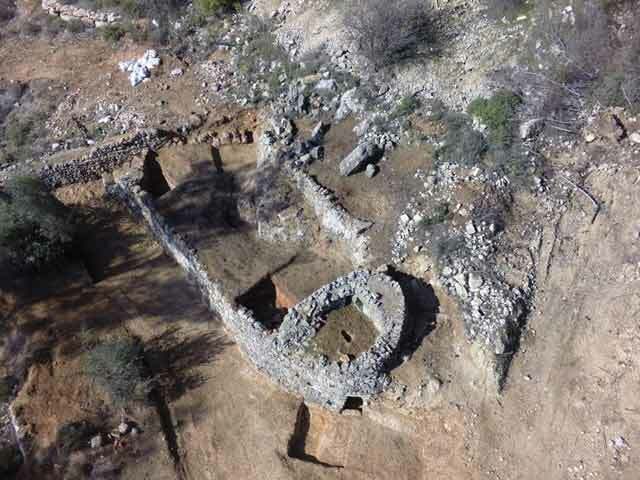 In the extensive area surrounding it were the remains of the agricultural hinterland of the nearby village of ‘En Kerem, consisting mainly of field walls that were probably used to delineate cultivation plots and farming terraces. A fairly well-preserved two-story field tower was incorporated in one of the field walls. 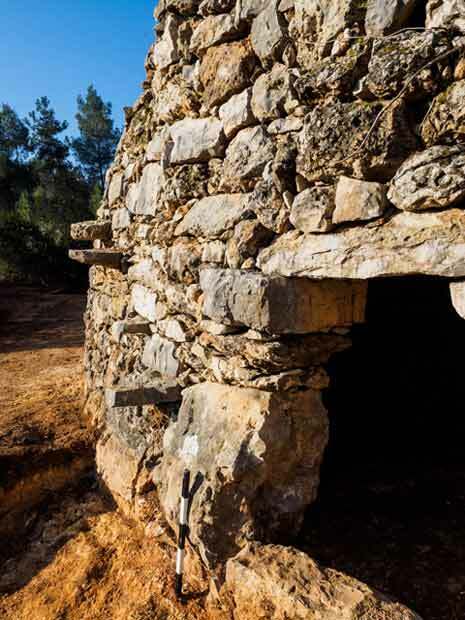 The location of the excavation areas on the slope did not allow for the excavation of clean loci, and it was therefore impossible to determine with certainty when the field tower and the walls were used. Since the small finds and architecture date to the Ottoman and British Mandate periods, it is reasonable to assume that they were also used at that time. A rock-hewn winepress devoid of pottery sherds was found to the south of the complex; it lacked unique features that could assist in dating it. Kloner A. 2003. 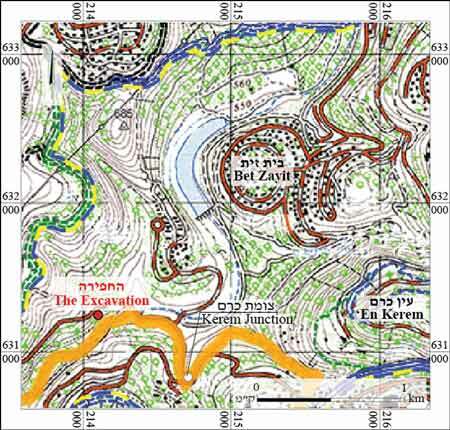 Survey of Jerusalem: The Northwestern Sector (Archaeological Survey of Israel). Jerusalem. 2. The excavation area and a broad agricultural strip next to it. 7. Area B, aerial photograph. 8. Built stairs, looking northwest. 10. Field tower, looking west. 11. The lower floor of the field tower and the doorway, looking northeast. 12. The stairs leading to the upper floor, looking southwest. 13. 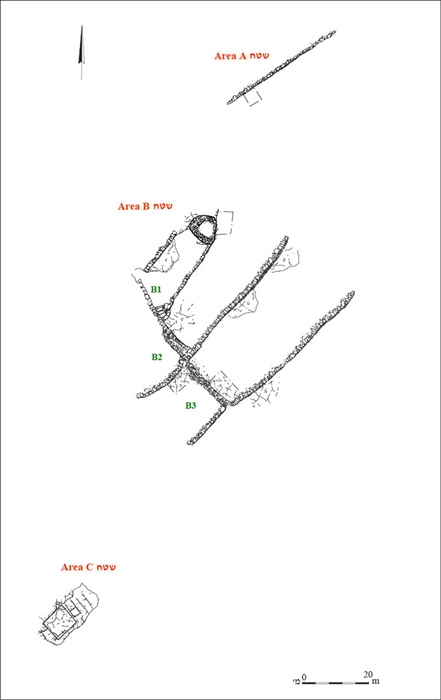 Area C, plan and section. 14. Rock-hewn winepress, looking northeast.